The community historian, Anirvan Chatterjee, stood near Haas Pavilion on Sunday. Hands raised high, his voice boomed as he recited a poem from the early 20th century by Kartar Singh Sarabha, a UC Berkeley student and Indian freedom fighter who was hung by the British at the age of 19. A fellow community historian, Barnali Ghosh, recounted Sarabha’s death to a group of spellbound listeners as her voice cracked and her eyes welled with tears. For 100 illustrious years, South Asians in Berkeley have been meeting, organizing, and protesting for social justice. Both Chatterjee and Ghosh decided to use this history to organize the Berkeley South Asian Radical History Walking Tour. 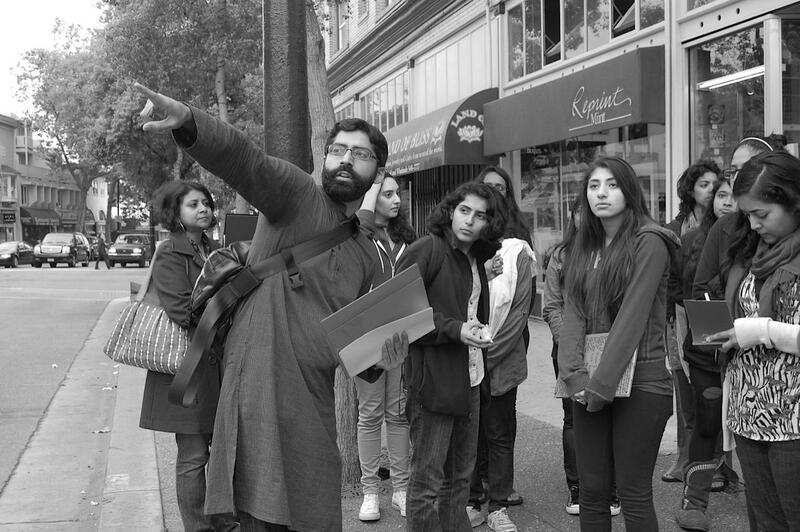 Complete with a script, actors, and audience, this tour combines heartfelt performance and historical context to teach the public about South Asian activism in Berkeley. From the story of Sarabha to that of Trikone, the first non-profit LGBT South Asian organization in the world, the tour covers a plethora of historical moments and political issues. “People who have been walking these streets everyday before me have been fighting for justice,” Chatterjee said. The tour is, in its own way, a part of this fight, a fight to determine how the struggles of South Asians will be remembered, if they are remembered at all. This tour is in the process of constructing a collective memory, a memory where South Asians are not sidelined, but seen as an integral part of the pursuit of social justice.The two remaining dates for the tour will be November 17 and 18.